Insufficient insulation is one of the main causes of energy loss at home. Many people might not realize exactly what this means or how it affects their homes. On top of the discomfort you feel because conditioned air is not properly preserved, you will also notice exorbitant energy bills from overworking your HVAC to no avail. Blanket Insulation Services has over 35 years of experience providing high-quality insulation products and services to save our customers money and create a home environment they can enjoy. Our company grew with the rise of the energy efficiency movement, and we are completely dedicated to increasing the functionality and appeal of your home, improving your life in every way! As a new Dr. Energy Saver dealer, we now have national support to achieve our goals. Our technicians are fully trained and certified to work with many types of insulation for your home or business. Their positive demeanor will make you feel at ease throughout the entire process. Let us show you true comfort and incredible energy savings today! Kevin Bailey has over 10 years of experience in residential and commercial construction. He has been with Blanket Insulation since 2008 and has made it a point to learn the business inside and out. Kevin is very passionate about the energy efficiency industry and the impact that it can have in improving the quality of life for our customers. 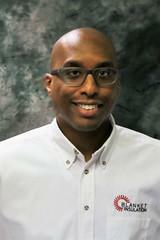 Kevin is a BPI certified Building Analyst and also has certifications in the areas of Lead Safe Work Practices (LSW) and Indoor Air Quality through the EPA and State of Michigan respectively. In his personal time, Kevin enjoys spending time with his son, traveling, and is a an avid moviegoer. 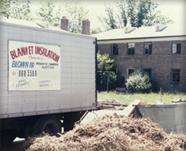 With over 35 years of experience, Blanket Insulation Services’s history is deeply rooted in the energy efficiency movement. Our company began in 1979 as a full-service residential insulation and weatherization contractor specializing in blown-in cellulose insulation. Luckily for us, the energy conservation boom of the mid 1980’s followed soon after our inception. It was during this time when Blanket Insulation Services secured its first major contract with Michigan Consolidated Gas Company (Michcon) to provide insulation and weatherization services for its customers. By the early 1990’s, we were providing similar services to customers for the area’s other major utility companies, including Detroit Edison and Consumer Powers. This allowed Blanket Insulation Services to establish a niche and become one the premier insulation/weatherization contractors in southeast Michigan. Today, we are proud to have continued our traditions and expanded our services to even more deserving customers! To learn more about Blanket Insulation, be sure to check out our Yellow Pages and Angie's List pages. Innovation: We offer creative solutions to all of your insulation needs. We tailor to unique requests and complex situations, providing an end result that is guaranteed to perform! Efficiency: We aim to complete all projects on time and on budget, so you will always know where we stand. We are excited for you to start experiencing the difference in your home – so we’ll get out of the way! Service: As a homegrown company, customer service is a huge priority to us. We care about all of our customers, and we will not be satisfied with anything less than our best for you! We are proud to be recognized among several organizations for our prowess in the industry and excellent customer service record. We are accredited members of the Better Business Bureau (BBB) and Angie’s List, attesting to our customer service skills. We are EPA Lead Safe certified, proving our mastery of safe lead handling. Finally, we are also certified members of Energy Star and the Building Performance Institute (BPI), which means that we have trained and tested to achieve credentialing for our energy efficiency work. Several of these organizations have awarded us for our efforts. 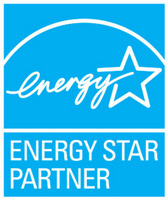 We are a winner of the 2013 Home Performance with Energy Star Award presented by the US Department of Energy. We were also honored with the 2013 Excellence in Energy Efficiency Award from Consumers Energy. We have been involved in programs such as The Better Buildings for Michigan program and The HEAL Program, which brought awareness on energy efficiency to many homeowners throughout the state of Michigan. Through this awareness we were able to offer whole home solutions. With the power of our partnerships behind us, we know you’ll be confident in the work we do – and you’ll enjoy the results for years to come!